The Alberta Canola Producers Commission, founded in 1989, was the province’s first refundable checkoff producer organizations. The mission of Alberta Canola is to support the long-term success of canola farmers in Alberta through research, extension, consumer engagement, and advocacy for canola farmers. 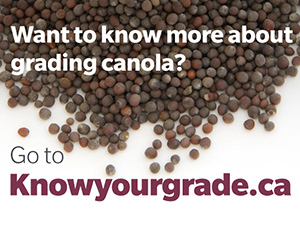 The Commission in no way regulates or is involved with the production, buying, or selling of canola. 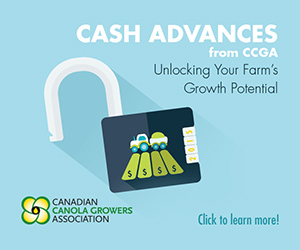 The Alberta Canola Producers Commission is funded by a refundable $1.00 per tonne service charge paid by canola farmers in Alberta when they sell their canola. All decisions regarding the Alberta Canola Producers Commission are made by the Board of Directors. Alberta is segregated into 12 regions. Each region elects a director to represent the growers of that region on the Board of Directors. The Board elects the Chair, Vice Chair, and Committees at the first Board Meeting after the Annual General Meeting. The Alberta Canola Producers Commission is a member of the core funder of the Canola Council of Canada and member of the Canadian Canola Growers Association. Alberta Canola also works in a collaborative manner with the other provicial grower organizations. Alberta Canola works to affect change on policy matters important to canola farmers. The Government and Industry Affairs Committee is responsible for informing the Board and governments about policy issues affecting the canola industry. For insight into our current policy position statements, visit our Official Policy Positions document. 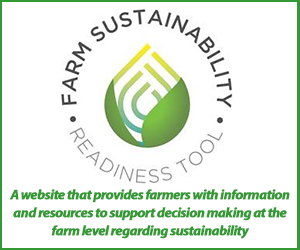 Have a question or issue affecting your farm you wa​nt to discuss? Contact Karla Bergstrom, Manager Government and Industry Affairs. Alberta Canola’s Annual General Meeting (AGM) is held during the annual FarmTech Conference each January in Edmonton. Registration to the FarmTech Conference is not required to attend the AGM, and there is no charge to attend the AGM. For details on the AGM visit albertacanola.com/AGM. Resolutions to be presented at Alberta Canola’s AGM must be received no less than 10 business days prior to the AGM to allow for background to be collected and resolutions to be prepared for presentation at the meeting. 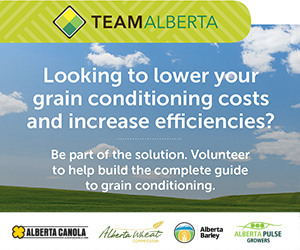 If you have a resolution, please contact the Alberta Canola office at 780.454.0844 or by email [email protected].